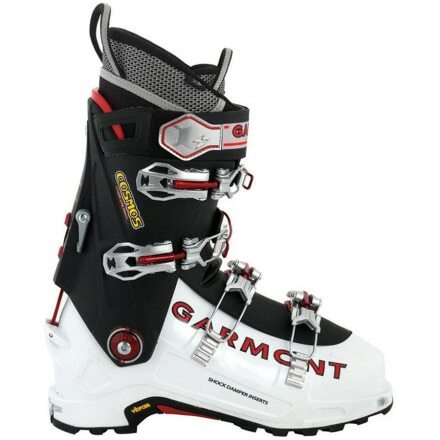 Reap the benefits of your long slug up the mountain with the Garmont Mens Radium Thermo AT Boot. 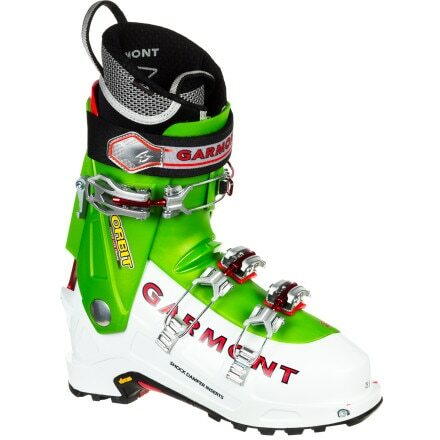 The Dynafit Gaia Ski Boot delivers the downhill performance and construction of an Alpine boot with the lightness and articulation of a ski-touring boot. For those female skiers who demand the best, whether dropping off a summit or taking the tram, the Scarpa Shaka provides the best performance, whether going up or coming down. The Shiva is the premier female Alpine Touring boot from Black Diamond, designed to comfortable and efficiently communicate all power towards the ski. Raising the bar, the Dynafit TLT5 is a superlight agile boot that won't let you down when it comes to steep and technical descents. Before all first descents, are first ascents, the Dynafit Titan Freeride Touring is lightweight for the uphill, but all business when it comes to the down. An awesomely light four buckle boot, the Scarpa Maestrale is perfect for touring. Not shy with the power either. 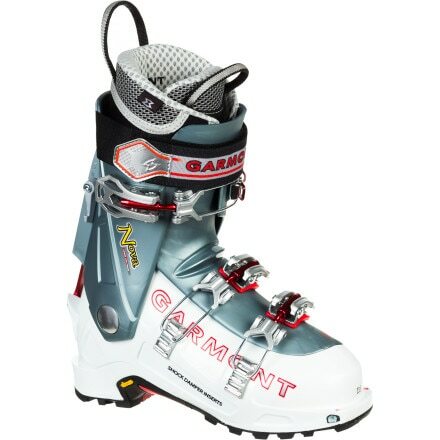 Designed for total resort power with backcountry traction and binding compatibility, the Scarpa Mobe Ski boots take freeride expectations and makes freeride reality. 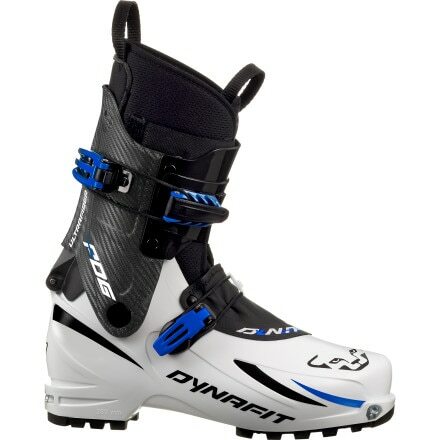 For the new generation of Freeriders, the Dynafit Mercury AT Ski Boots offer climbing agility without compromise to performance on the downhill. The Scarpa Maestrale combine lightweight materials with four buckles for power to create the ultimate touring boot for the backcountry. 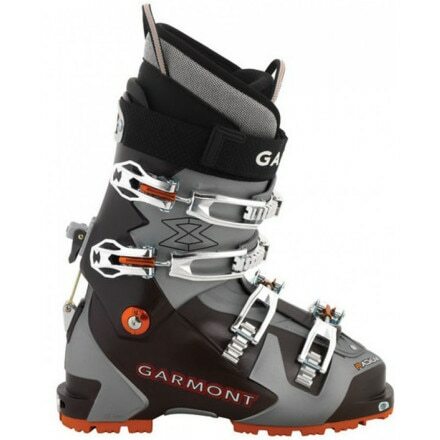 The Black Diamond Prime AT Ski Boot is ideal backcountry weapon for long approaches and big ascents reward you with technical terrain that requires precision. Freeriders and Freeride Tourers looking for the lightest and best downhill performance need look no further than the Dynafit Titan Ultralight TF. Replacement AT sole blocks for the Black Diamond Method AT boots. 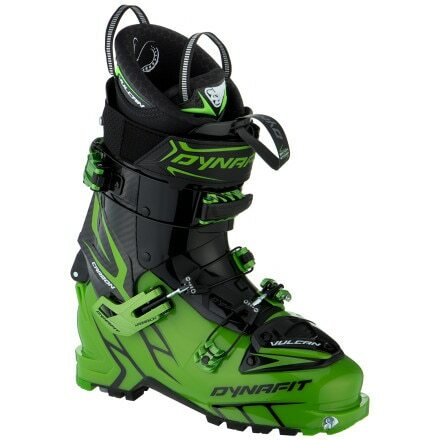 Dynafit binding compatible. AT sole blocks for interchangeable backcounrty use on the Black Diamond Factor AT boots, which come equipped with ISO Alpine DIN blocks.